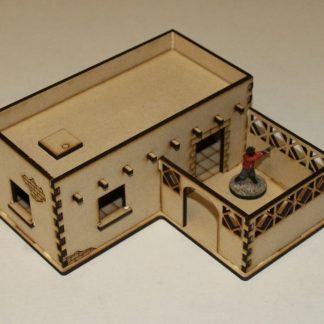 This building forms the basic building block of any Middle Eastern village, it is can be used as a poor peasants home, or a small plain outbuilding? 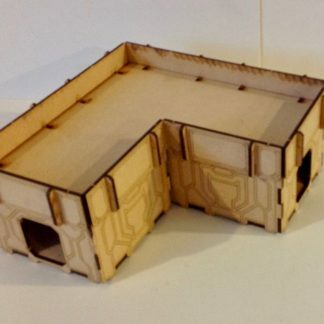 or shack for a larger compound. 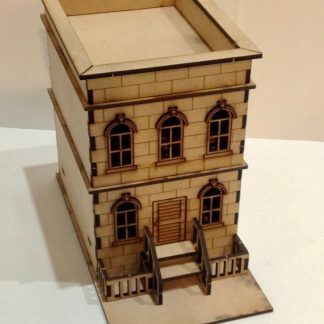 This building forms the basic building block of any Middle Eastern village, it is can be used as a poor peasants home, or a small plain outbuilding or shack for a larger compound. 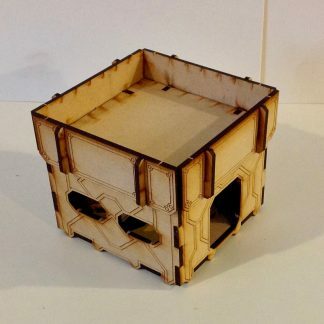 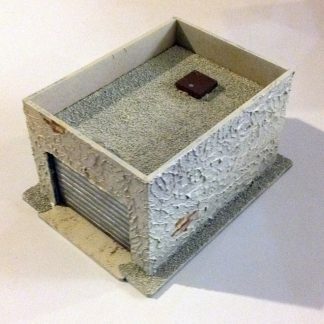 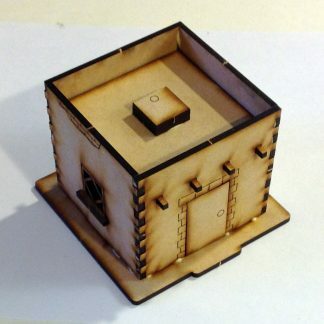 The base is roughly 4″x3 3/4″ (96mm x 92mm) and the building is roughly 3″ x 3″ x 2 3/4″ (75mm x 75mm x 70mm).